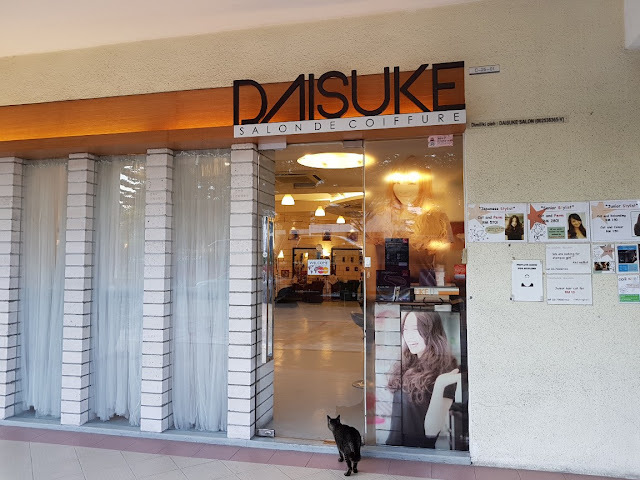 Located in Three Two Square in PJ, Daisuke Salon De Coiffure is owned and operated by a Japanese hair stylist, Daisuke Suzuki, and his lovely wife Ai and his professional team which have been personally trained by Daisuke himself…. I had the opportunity to sit in the privacy corner and got a little armchair with a foot stool that faced a huge top to bottom mirror for me to check out what is going on or well, for those who are slightly vainer, to admire your whole self. One of the hair stylist serve me some nice brown rice green tea just as I am seated and plopped several magazines down for me to read or browse through. The service here at Daisuke Salon De Coiffure is definitely second to none…. On this particular visit, I wanted something different to celebrate Hari Raya as well as my birthday which falls just around the end of the month… and Daisuke and his wife were able to fit me into their busy schedule…, of which I am very grateful for… thanks Daisuke and Ai…. For those who do not know it, the word ombre comes from the French word “shadow”. Ombre is a style with the transition of a lighter shade from a darker shade. Ombre is great for a person who is daring, as it is definitely noticeable. While the ombre can be quite beautiful, it is also something that needs to be done by a professional! A bad ombre can be shocking like I found out the first time when I got more then I bargain for… well, that was years ago when ombre was getting famous and well, I did not know of Daisuke Salon De Coiffure back then…. “Balayage” is yet another French word that means “to sweep”, a technique where the colour us actually swept through small sections of the hair onto a board or foil, giving it the natural transition down into the lighter color. 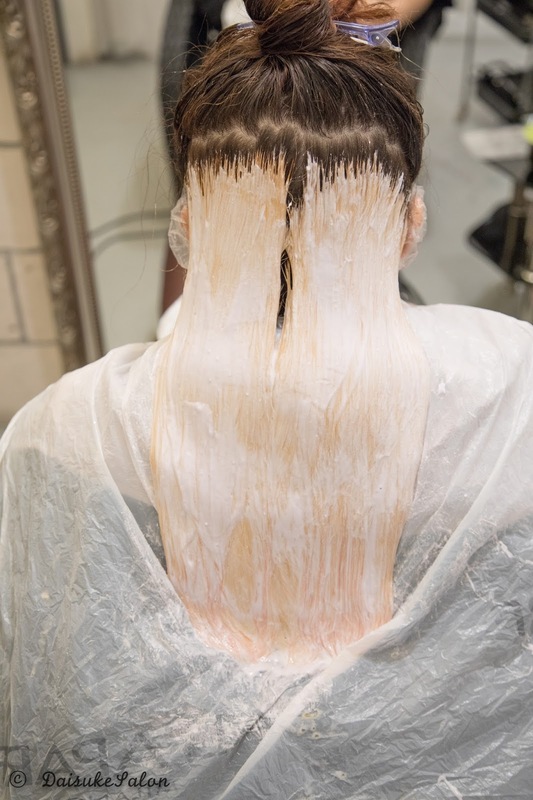 There are dark patches left on the bottom to create dimension and a more natural look. So since I wanted to be adventurous after admiring many people’s hair colour but I just did not want to be so overly shocking or flashy. 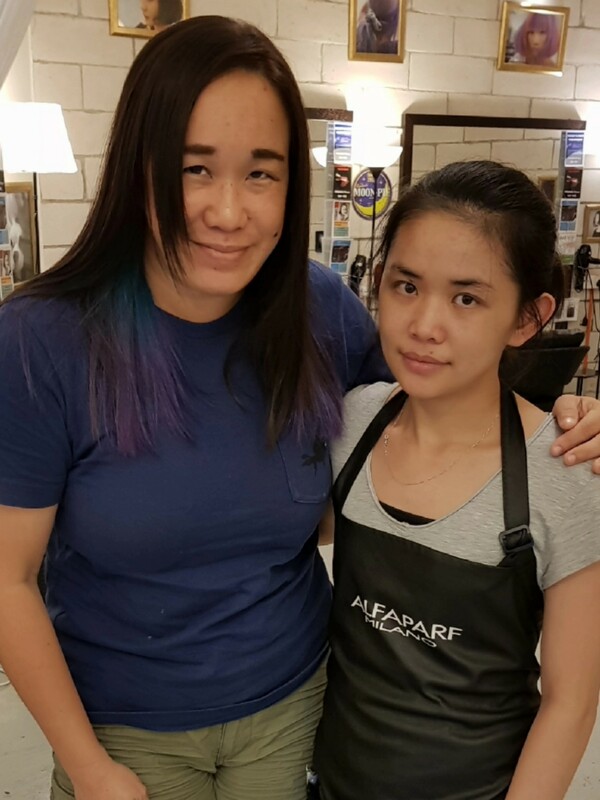 I asked Rene, my designated hair stylist of the day for some peek-a-boo colours, to which she recommended and gave me a bottom half hair ombre. Whoa! blast Raya celebration with new hairstyle. Beautiful! Wow, looking great Miera! Gonna look fab for raya! Your hair looks gorgeous! AHHHHH! Should i colour my hair again?! Oh I love how your hair turned out. I love the colors! This reminds me that I need to go to salon for a hair makeover. Thanks for sharing dear! Kucing pun nak buat rambut ke? The long hours are what I am afraid of when colouring or perming. Gosh, how can I afford the time?? Your hair colour is beautiful. Not like Sully lah. I like your new hair style but I am not sure if I can be there for so many hours. If you need to pay, how much would it cost? I really loved how the Colours turned out for u! It suits you well without looking too overly loud and flashy! 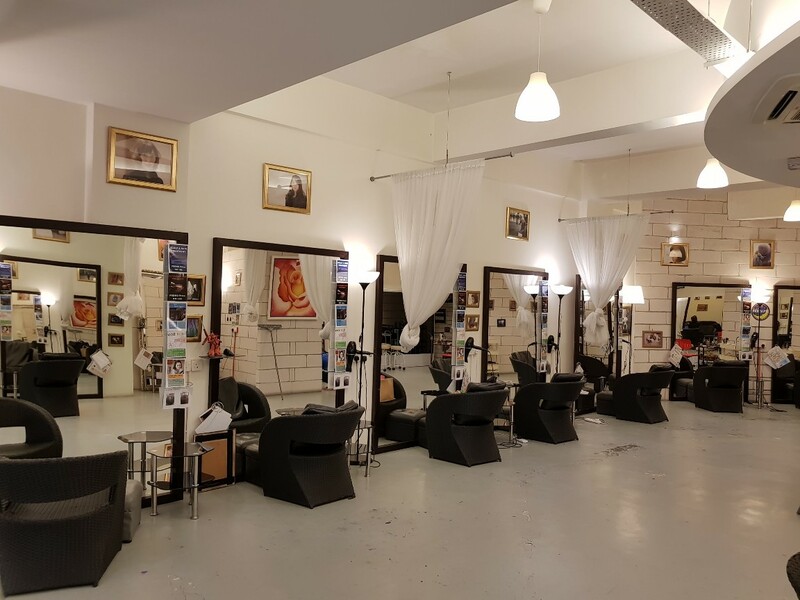 This is where you got your hair done, the colors are so pretty. Love your new look!